Calling All Adventure Junkies: Have You Tried These 8 Adventure Sports In And Around Bengal? 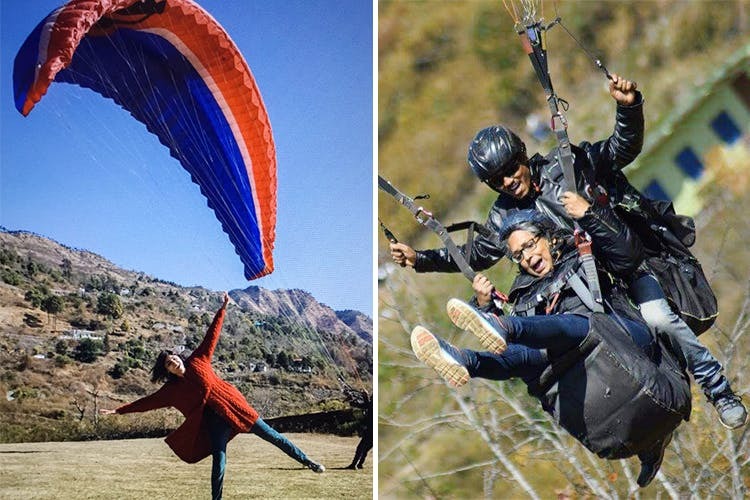 Paragliding, trekking, mountain biking, water skiing, river rafting, caving and camping - the list of adventure activities in and around Bengal is enough to get your adrenaline pumping. Pull up your socks, roll up your sleeves, pack up your gear and head out for an adventurous vacay. Sitting at an altitude of around 6,700 feet, Samsing Khasmahal is one of the highest mountain located in North Bengal. Indulge in the scenic landscapes of green tea gardens, dense forests and a shimmering Murti river as you participate in an array of adventure activities like rock climbing, rappelling, and Tyrolean traverse under the guidance of a trained professional instructor. Hidden in the lap of East Himalayan mountain range, Kalimpong is a charming, pristine and serene hill station with lush green vegetation, sparkling waterfalls, sloppy tea gardens and innumerable varieties of orchids and cactus. Imagine yourself soaring like a bird, taking in all these beautiful sights while you paraglide. It’s the most exciting adventure sport offering two types of flight - medium and high with different landing points. Buxa is a one-hour, fifteen-minute (3.9 km) trek that will take you through 400+ species of exotic flora and fauna, a fort drenched in British history, a refugee detention camp and a Mahakal cave filled with stalactites and stalagmites. There are a number of trekking routes through the untamed jungles of Buxa Tiger Reserve that will give you an opportunity to rediscover the wilderness and remnants of the past. The virgin Tajpur Beach is Bengal’s latest adventure hub for snorkeling. Dotted with red crabs and grooving Casuarina trees, Tajpur is one of the few motorable beaches on the east coast. Arm yourself with a diving mask, breathing tube, swim fins and you are all set to enjoy the underwater life at the Bay of Bengal. Apart from snorkeling, nature camps and local outfitters organise a range of adventure sports such as coastal biking, rubber boat propelling and water zorbing. Haldia, on the banks of the Hooghly River, just a little over two hours outside Kolkata, is a fantastic place for those looking to partake in wind sailing and yachting. Its location as a port city makes it a good attraction for exploring various water sports. Catch the wind in your sails as you cruise around the major riverport of Haldia. Although lesser-known, caving is as exciting an adventure sport as it gets. Navigating dark passages, wading through waist-high water, and the chance to observe Mother Nature’s creative handiwork is a thrilling experience. Meghalaya, boasts of being a home to the largest network of caves in India. Making it an ideal place to start your caving adventures under trained guidance. Subansiri River (biggest tributary of the Brahmaputra) in Arunachal Pradesh with its gushing rapids (Grade I-IV), is perfect for white water rafting. Often referred to as the ‘Gold River’ by locals, the river rafting experience here promises to be challenging and thrilling. If you love exploring places on a bicycle, mountain biking may just be the perfect adventure sport to try on your next holiday. The Sikkim-Darjeeling region has diverse terrain that provides varied trails. Mountain biking tours are a great way to recreate those childhood memories of cycling with your squad while you soak in the spectacular natural beauty of Sikkim.